The CHP engine and gas boilers were commissioned in September 2016. The plant was fully completed and up to full power generation in February 2017. 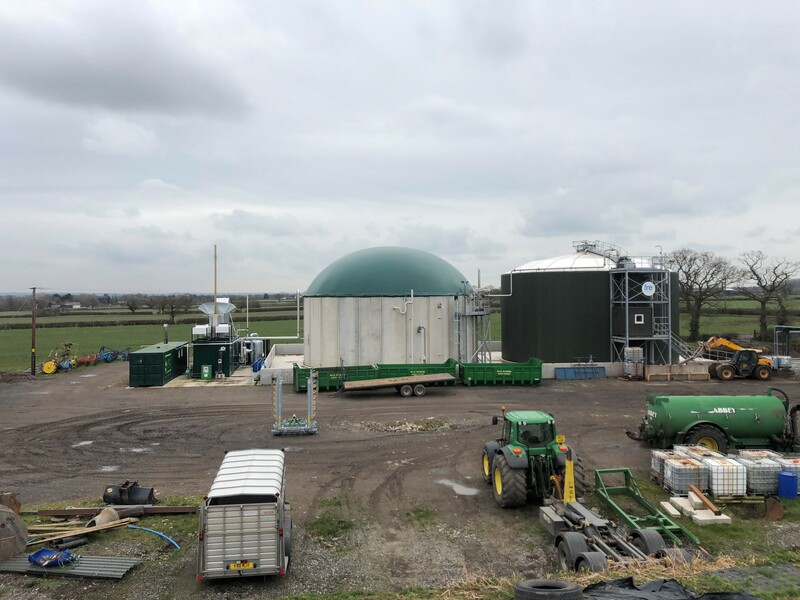 It took approximately 12 months to build the digester and fully establish the biology so that the digester was performing at over 90% productivity. Here is a brief video showing the overall process that Richard presented at the 2017 AGM. The AD plant is run on a daily basis by Richard Tomlinson and the team at Lower Park Farm. The farm supplies all the feedstock for the digester, and the resultant digestate is used to fertilise the farmland. We have a technical support contract for the plant with Fre-energy and the cost of this is included in the budget. This ensures that the AD plant continues to operate efficiently and reliably. A maintenance contract is also in place with 2G who look after the gas engine and service it on a regular basis. The coop also have a sinking fund to contribute towards the cost of a new engine. The Tomlinson family have already invested £107,000 to purchase an electrical transformer large enough to export and sell the electricity produced by the AD plant to the national grid. They are funding the on-going preparation of the ground on which to build the AD plant, and will be investing in Shares in the Co-operative. The Co-operative has been approved by the FCA (Financial Conduct Authority). All Shares are valued at £1 each. Each Member of the Co-operative has equal voting rights regardless of the number of Shares owned (one Member, one vote).